Realise your ambitions and take the lead in the creation and development of a film project that will showcase your individuality and talent. The first three semesters will follow the MA Filmmaking course to give you a thorough grounding in collaborative filmmaking. Mentored over the following two semesters, you will make an extended piece that will develop your own style as you become a confident and experienced filmmaker. Working on your own project or taking a head of department role alongside a fellow MFA student, your expertise will be tested in a dedicated specialism such as directing, producing, cinematography, animation or editing. Whether your ambitions lie in fiction, documentary, animation or experimental films, this course will allow you to develop your idea into a professional piece of work. We will give you the independence and freedom to realise your project, complemented by the support of our expert tutors. We will give you the independence to make the film you want to make. Our expert team will provide tutorial encouragement, supervision and advice, and you will have access to industry-standard equipment and resources at our Northern Film School. From cinematographers to producers and editors to animators, our teaching team is made up of highly respected film and television professionals, many of whom are still active in their fields. We will aim to match you with a tutor who specialises in your area of interest so that we can provide you with bespoke advice and guidance. 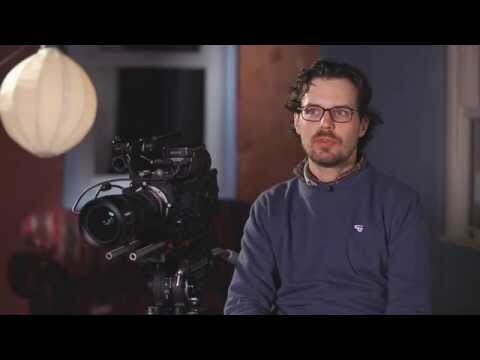 As the first film school in the UK to receive JAMES accreditation in recognition of the expertise of our staff, the professional level of our facilities and the opportunities we provide for our students, the Northern Film School is one of the best schools in the UK to explore and develop your ideas as a filmmaker. Please include, in no more than a page, a description of the type of project you propose to undertake during your final year. If you do not have a sense of what this is as yet, we recommend that your apply to undertake the MA initially, and then transfer courses during your time with us. More guidance is available on this if needed. The MFA (Master of Fine Arts) is a highly respected qualification in the US and is growing in significance in the UK. More importantly, you will graduate with a fully realised film project that will extend your portfolio and demonstrate who you are as a filmmaker. Your experiences on the course will prepare you for the collaborative nature of the filmmaking industry. Develop a project and professional plan for your continued practice during / after your MFA. Your proposed project could potentially be individual work, or one in collaboration with colleagues. Create a project that pushes boundaries, extends your skillset and provokes original thinking. Your project could be (but is not limited to) an original, final draft feature screenplay; an extended proposal for a feature film; a short film or video; or participation in a collaborative filmmaking project at head of department level. The project should be demonstrably more advanced in practice and content than your previous work. Create a record of the creative journey you have undertaken to produce your major film project. A short oral presentation will accompany your journal. Keith’s career has included work on short and feature films, television series and computer games in projects for the BBC, Channel Four, Channel Five and many independent film and TV companies. Keith has also co-written screenplays that have reached the finals in the prestigious Zoetrope and Final Draft screenwriting contests, and worked with up and coming, respected filmmakers such as Clio Barnard and Penny Woolcock. The wonderful thing about the new MFA Filmmaking course is that it is just that - filmmaking, pure and simple. It’s a struggle to launch a film career and get to make the films which are important to you, that speak to an audience. This is what we’re aiming to achieve and we are eager to see the results. The tuition fee for students entering in 2019/20 is £7000 in Year 1 and £7000 in Year 2. The tuition fee for students entering in 2019/20 is £13000 in Year 1 and £13000 in Year 2. You'll have access to a suite of professional music studios, including film composition and audio post production rooms, instruments, together with portable field recording equipment and extensive computer workstation facilities.